There are good first impressions, there are great first impressions…and then there are those that absolutely draw you in from the word go. Or in the case of a most-recent porting across to console, reason enough to go back and revisit as I’ve done over the past couple of weeks leading up to and subsequently past release — around twenty six hours clocked thus far. 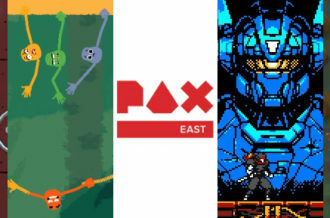 Whether that’s the unveiling circumstances of its plot or narrative, the suggestiveness of its lore, the intrigue of its characters (protagonists and/or antagonists alike), the general design of its explorative world or simply the gameplay on display. 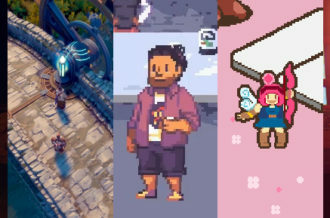 It’s not uncommon for JRPGs to have a better showing in this regard; personal picks like Tales of Symphonia, Persona 4 and Xenoblade Chronicles standing as prime examples of games of this ilk, that take different approaches with its scene-setting, but ensure that critical areas like gameplay and presentation keep you immersed no matter the duration. It needn’t matter if these settings are fantastical or based somewhat on our own pre-determined connotations of reality. It needn’t matter, though it can feel somewhat disheartening if some of the content inevitably ages less gracefully. For a genre that’s so willing to stretch things out way past the 50, 70, even 100 hour mark, those first few hours are pivotal. Give me a reason to care game, give me something to latch onto and offer some credibility to a near-100 hours invested. The original Trails of Cold Steel — the first in what will be a four-part sub-series in the Legend of Heroes series — may admittedly rely on tropes and cliches to some degree. 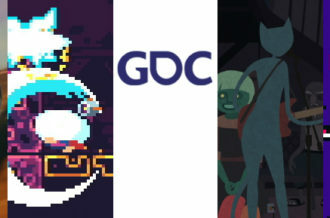 The literal opening segment of the game administering that identifiable flash-forward of showing events late on only to jump back to the actual prologue of the campaign. 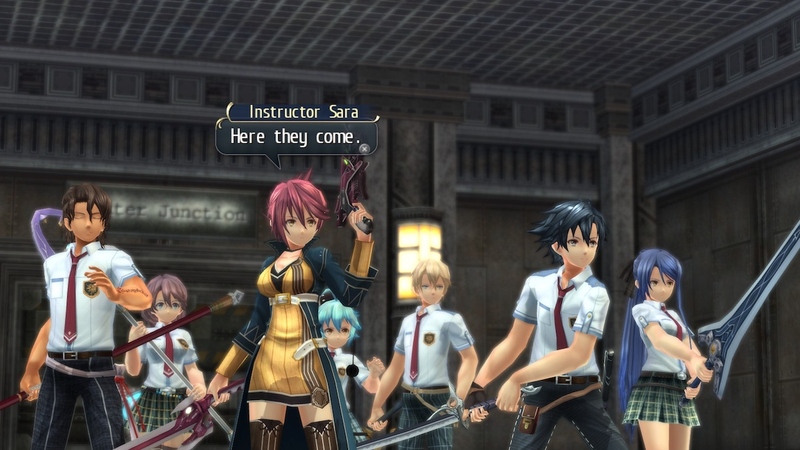 So too its main characters — of which the game introduces a fair number, beyond even the “main” party that is its nine students comprising Thors Military Academy’s Class VII — you could so easily lump into distinguishable (a nicer way of saying “stock”) personalities that clutter so many anime series or anime-styled games alike. Nihon Falcom aren’t shying away from this; in a way, it’s admirable how quick and upfront the game is in drawing the personality lines between characters. The upbeat best friend; the reserved-but-intelligent model student; the chalk-and-cheese grudge between two characters whom, it’s made a little too obvious, aren’t going to be on speaking terms for a while. And of course, there’s the female friend whom takes advantage of an early misunderstanding to mask her own reservedness and insecurities. 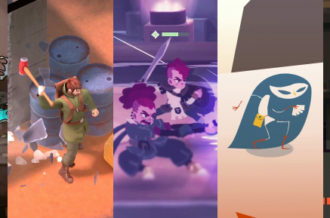 In theory, this unwillingness to shake off the usual JRPG stereotypes shouldn’t be that noteworthy, or at the very least, interesting to dissect. It should be one of but many red flags to a game, if not terrible, certainly nothing to speak glowingly about. Heck, one should immediately roll the eyes at such a roster. You could so easily dismiss the entire sub-series in fact as but another “one of those” run-of-the-mill escapades. And yet, much like how a game such as Xenoblade Chronicles handles its main party characters, Trails of Cold Steel finds a way to make this work, tropes and all. 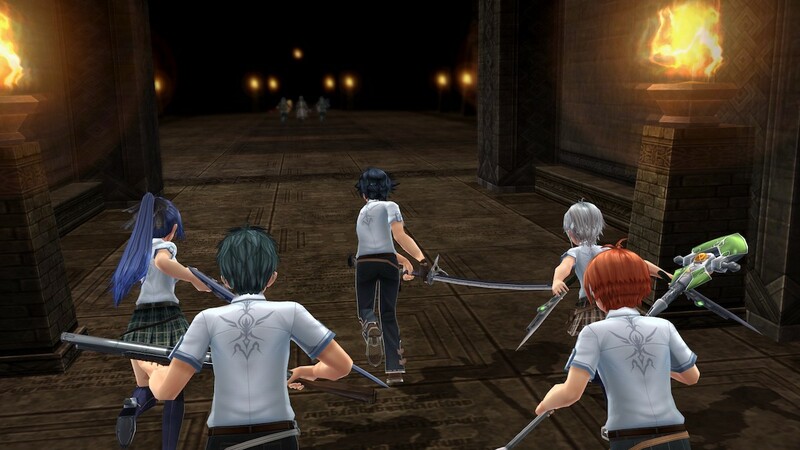 The very interactions the cast involve themselves in standing as one of the highlights — their conflicting personalities, concealed motivations and eventual development, partly where Trails of Cold Steel owes much of its effectiveness in its story-telling. 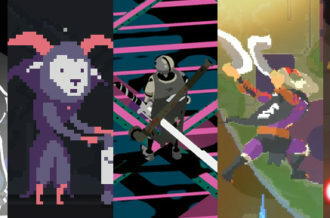 Stretching outward from those initial conversations and momentary bits of banter, right to the very social structure that comprises part of the game’s major world-building. Namely, the historical make-up of the fictional empire of Erebonia. Class but one of its major pillars, the separation of commoners and nobles — to the point where students from either background are segregated. 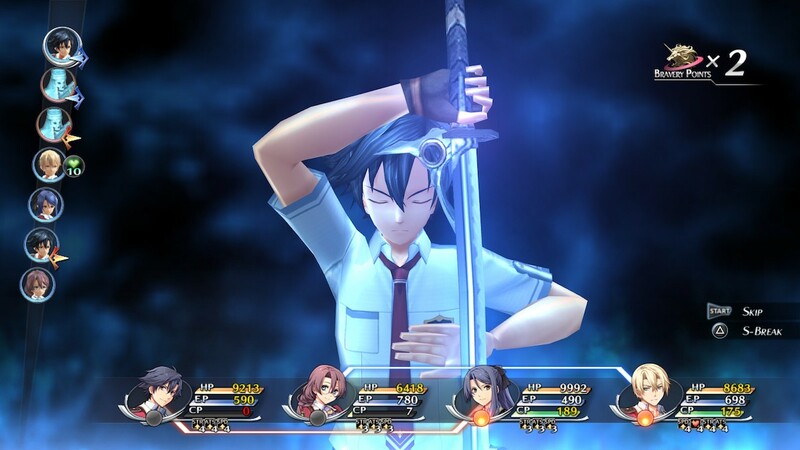 Trails of Cold Steel’s surprising doubling-down on a topic rather more grounded and arguably reflective of our own reality — more so the idea that Class VII, the protagonists they may be, serve as a social experiment wherein the common and noble folk stand as equals, let alone a newly-devised class undergoing education at some military academy and can prove effective as a result. Naturally, the game could very well expand its reach to more thematic and fantastical propositions. 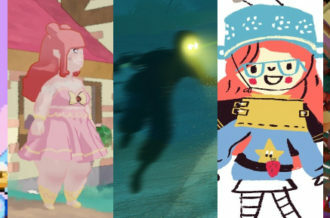 The material and necessary lore is there for the game to go wild with the idea of regular genre safety-nets so far as ancient evils, abnormal powers, bizarre unveilings, and most importantly, the power of friendship. And yet, it doesn’t. If anything, beyond even the opening dozen-or-so hours, Trails of Cold Steel for the most part feels like one almighty slow-burner. The mother of all slow-burners; the game, you could argue, serving as little more than an introduction to its grander, more expansive follow-up Trails of Cold Steel II. 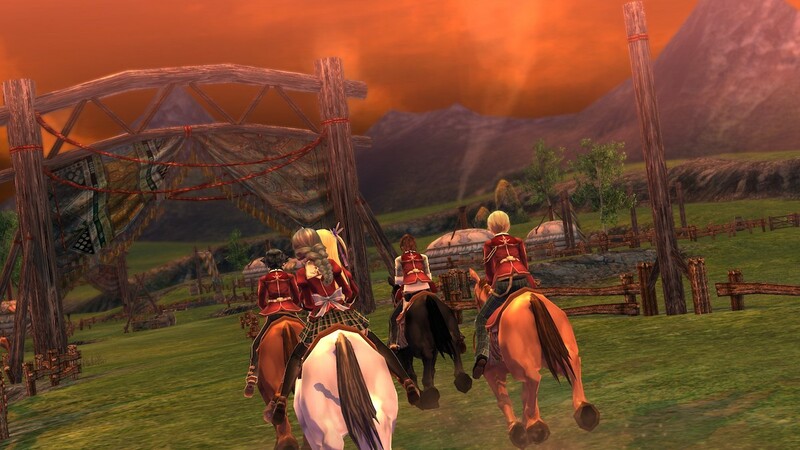 Why then is Trails of Cold Steel hailed by many as an underrated gem and possibly one of the best JRPGs to rival even the likes of Persona 5, Dragon Quest XI and other such highly-lauded prime examples of the genre’s heights? Perhaps too it’s the game’s avoidance in, as previously mentioned, relying on the grander, implied mythos of its visuals to instill interest. In the same way Xenoblade’s early events were fueled not by the grandeur of its fantastical setting, but instead focusing on nothing more than the narrow-minded revenge of main protagonist Shulk. Its unveiling of the world of Bionis (and Mechonis further down the road) a result of its focal intents, rather than a coincided by-product. Likewise, Persona 4 was a balance between its murder-mystery tone and resolving the personal struggles of its characters — the supernatural suggestions of the game’s “TV World” a means to an otherwise more personal, relatable end. Trails of Cold Steel’s opening few chapters are similarly more about the interactions between its main cast. A cast whom, despite their varying backgrounds and personalities, grow closer as events progress. There’s no direct referencing of the dire straits the story eventually leads towards — your early escapades rely on you solving distant town’s local problems, after all. Not exactly the grandest of spectacles. Call it personal taste or not though, but the potential in character relationships — and moreso, how a group may further build/grow/learn/develop as they explore the world they’ve grown up in…and perhaps been unavoidably cut off from in their own unique ways — is, on a narrative level, far more interesting than the indulgent display of how terrible a given “bad” force may be…and/or how righteous the “good” guys likely will be. Regardless of where a given character may lie on such a spectrum. Even after reintroducing one’s self to Trails of Cold Steel a la its recent porting to the PS4 — which released to the masses earlier in the week — it’s surprising how immediate and enjoyable still the game’s opening parts remain. How genuinely entertaining, and on occasion, comical some of the dialogue can be, with its emphasis less on looming dangers and implied virtue for the bigger picture or impending clash of forces…and more on running errands for townsfolk who simply can’t be pestered doing it themselves. It’s all part of Class VII’s curriculum, we’re/they’re continually told. Not since Atlus’ 2008 opus have I been so entrenched in learning more about the characters presented to me. Their motivations, their intentions, their reasons, in some cases, for feeling the way they do. Naturally, some are delivered, presented and executed better than others; some are more successful in making use of the stereotype they’ve clearly been assigned, some aren’t so fortunate. Your ranking of best to worst will of course be different to mine, as it would/should be, but there’s plenty to invest in here and for good reason. 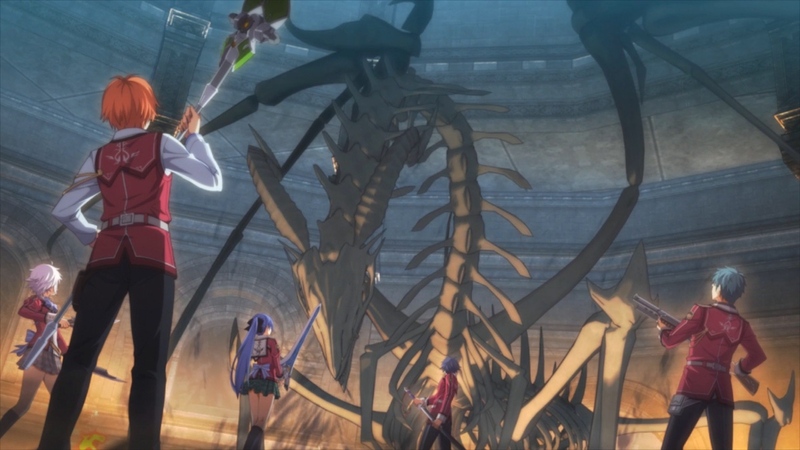 But of course, a game can only go so far if it can’t provide a crucial gameplay foundation to back all this up, but Trails of Cold Steel again nails its own take on dungeon-crawling and turn-based combat alike. The best part: when you look at it through the most critical and objective lens, Nihon Falcom aren’t really introducing anything completely new or innovative here. Beyond the synergy of strategy its prime combat entails, Trails of Cold Steel feels more like a compilation of JRPG’s “greatest hits” and subtle hooks alike. What’s so bad about that? The answer is, it isn’t; it’s a prime example of how so many small details and smart decisions can help shape an experience into something wholly satisfying to indulge in. Nihon Falcom had no reason to include these minor, momentary and perhaps insignificant specks of design into the overarching gameplay particularly, yet they did. They serve no real substantial purpose — other than some modest accompaniment to an otherwise more pivotal victory in combat or progression through a dungeon — but as we so often declare: the experience becomes greater than the sum of its mechanical parts. Even an area that a lot of JRPGs fumble on, the persistent menu-hopping and having to alter stats on a common basis, is countered by an interface that, despite its numerous variables and categories, rarely feels overwhelming. That’s despite the introduction of mechanics such as arts, crafts, associated points and how they’re managed; attack affinity, positioning on a given combat arena; links, random buffs. On top of the very many ways move-sets are performed (some area-of-effect based, some consigned to a single target). And this is all during combat. All of which presented during a similarly early period during the first couple of chapters. Even if one were to forget one factor, it comes at little cost to getting the most out of the experience. That’s not to say the game won’t reward you for setting up a perfect sequencing of tactics or luring enemy placement into particular positions — the end-of-battle results offering an XP multiplier based on the variety and effectiveness of one’s strategy, bonuses too awarded if such things like a double-kill or taking zero damage, are fulfilled — yet rarely does a game, let alone a JRPG, excel on the areas you expect and the features you probably wouldn’t. There are so many more small touches: the dot-like trail you leave on the map so as to not get lost in dungeon sections. Similarly, the ability to switch up links during battle. The fact victory ends with two characters offering a brief exchange should you end on a link attack. From easily accessing an enemy’s stats without sacrificing a party member’s turn, to the very turn order of characters/enemies displayed on-screen. The well with which Trails draws its content from in this department is deep, but not to the point where it begins to undermine its accessibility. In theory, one could rely on spamming attack after attack, but to do so would to ignore the potential avenues with which the game offers, so as to make that next boss encounter that much less troublesome. Much like Persona’s social link system, Trails of Cold Steel also incorporates a feature that — during the declared “free days” — players can spend AP (accumulated overtime, some of which are bonuses depending on certain choices in the story) allowing them to spend time with certain characters. While this allows for varied quality in exposition and familiarizing with specific cast members, it also serves a combat purpose in that improving relations allow you to perform stronger team links. Whichever component you take to — big or small — you can’t help but appreciate Nihon Falcom’s efforts in bulking up the game without letting it feel like it’s buckling under its own weight. To balance the pleasantries of visual cues and quality-of-life additions, with the crucial components that could see you better served for the challenge ahead, not for a second do you feel as if one aspect or mechanic or suggestion for prolonged study, is wasted. Wherever you look, there’s a purpose and a goal to what you’re involving yourself with. And Trails of Cold Steel does all this under the guise that it’s your typical, adolescent-focused JRPG — far from ashamed of the cliches it plucks here, there and everywhere. But credit where credit’s due, the end result is a game whose tale is grounded enough to entice, whose characters are likeable and entertaining enough to care about and whose gameplay is by far one of the best integrations of turn-based combat that’s existed for some time. If you have any lingering doubts or [still] understandable discomfort with the surface-level detail that is its character artwork or the lingering evidence of its origins as a PS Vita entry, believe me when I say The Legend of Heroes: Trails of Cold Steel is an absolutely phenomenal game and one of the best JRPGs of the last five, maybe ten years. Though not exactly demanding a load for any PC build, for those more dedicated to their consoles than anything, its porting to PS4 serves as the final counter to any and all argument that missing a hidden gem such as this has been easy to commit. Well no longer, along with the soon-to-be, equally-prolific sequel arriving later this year for the platform. Appetizer would perhaps be as inappropriate a descriptor as one could get — leading into the incoming third entrant’s journey over to western shores — but if you can scrape together the time (twice over if the second game entices you so) to what the opening chapters entail, The Legend of Heroes: Trails of Cold Steel is not one to miss. A modern classic.